Grace is too amazing to save us from sin’s guilt only to leave us under its cruel tyranny. In this book, Kevin DeYoung reminds us that the gospel is the ground of our justification and sanctification. At the same time, he reminds us of the many exhortations in Scripture to pursue godliness as the fruit of our union with Christ in the power of the Spirit. 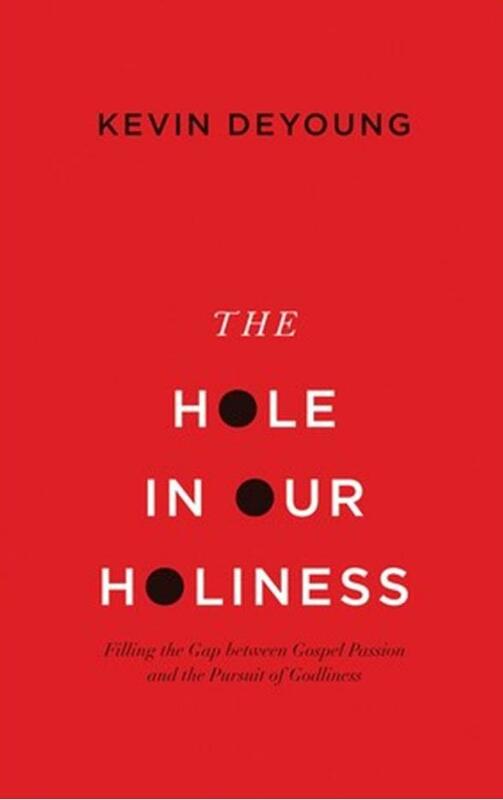 The Hole in Our Holiness offers important reflections on a crucial topic in the ongoing conversation about the joys and struggles of the Christian life. This book is vintage DeYoung—ruthlessly biblical. The sermon is titled “The Hole in Our Holiness: Piety’s Pattern” and is an examination of 1 Peter 1:13-16. CJ Mahaney calls this book the modern equivilent of J.C. Ryles classic work Holiness. Following the series on Justification, Grudem examines the process of Christian growth in holiness and battle with sin. Sanctification is when the heart and will of a Christian grows to make holy decisions. There is a lot of food for thought and very practical applications to our daily lives. One thing John Piper does very well is to take a text of Scripture and then fall humbly and brokenly under it, drawing out amazingly real and inescapable implications that will cause you to reflect upon your life in ways you had not considered. This is one of those series that will challenge you beyond usual exhortation. Piper draws us upward into the heavens and has us look at the wastefulness of our lethargic lives from above. The Spring Conference was held in San Luis Obisbo, and although the title is the same from his bestselling book ‘Don’t Waste Your Life,’ this material is all new. In 5 sessions, Piper considers how we waste our lives in particular ways — ways you would not usually consider. For instance, don’t waste being robbed; don’t waste your cancer; don’t waste how you spend your money; don’t waste your compassion; and it goes on. Piper calls us to live in a wartime mentality and not a peacetime mentality. This will determine if you are wasting your life or not. Highly recommended.